What special considerations have to be made when managing freehold commercial property? When managing a commercial property, one of the first decisions you’ll make when deciding on a premises for your business is whether it should be freehold (owned outright along with the land it stands on) or leasehold (occupied for a length of time agreed by the landlord). It is far more common for businesses to lease their premises. Nevertheless, there are many advantages of managing a freehold commercial property as opposed to a leasehold property. Along with these advantages, however, freehold commercial property managers have certain factors to take into consideration. In comparison to leasehold properties, freeholds benefit from a lack of restrictions in relation to use and development. Nevertheless, freehold commercial property is still subject to restrictions put in place by the Local Authority. Prospective buyers should conduct a Local Authority search in order to find out any restrictions that might interrupt their business or incur penalties. The Local Authority will also need to grant consent for change of use. Likewise, it is important to buyers to obtain building regulations and planning permissions from the Local Authority for any changes they intend on making to the commercial property prior to purchase. As the owner of a freehold commercial property, you will naturally be exempt from any property use or development restrictions imposed by a landlord. The buyer of a freehold commercial property must pay considerably higher rates of stamp duty land tax (SDLT) than they would on a comparable leasehold property. The stamp duty land tax on a commercial property will also be considerably higher than tax for a residential freehold. A commercial property valued over £150,000 incurs increasing portions – or ‘considerations’ of SDLT. USe an SDLT calculator to determine the amount of SDLT payable on a freehold commercial property. As of April 2018 it is against the law for a landlord to let or lease a commercial property with an energy performance rating of less than E. If, as a freeholder, you intend to lease your commercial property space, you must take the necessary steps to ensure it is energy efficient enough for this to be feasible. It is compulsory for commercial property owners to provide a valid energy performance certificate upon sale of the property; potential freehold commercial property buyers should see that they obtain one from the seller. Commercial fire regulations are the remit of one designated individual, known as the ‘Responsible Person’. As the freeholder, ensure that you are aware of the Responsible Person if it is not you and make sure that they are carrying out their duties. 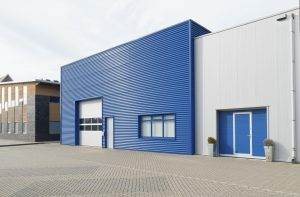 Although it is always wise to be insured, owning a freehold commercial property makes it especially important to secure commercial property insurance in the event of any damage.